A fingerprint match means investigators are one step closer toward apprehending a suspect, locating a victim or uncovering the circumstances behind a crime. With intact ridges and swirls, they can narrow down the search to a single individual. In fact, experts can use them to track one person, even decades after he or she left that mark. The ability of one fingerprint to tie loose ends in investigations rests on two prime features: it’s unique, and it doesn’t change. Let’s take a look at how fingerprints become unrepeatable. The tiny patterns on your fingers, known as “dermal ridges” were formed in the womb. The most popular theory explaining their origins involves the basal layer, a layer of the skin sandwiched between the dermis and epidermis. The basal layer grows faster than the two, so it strains against them. The pressure causes the skin to buckle and fold, forming complex patterns of ridges. These serve as the foundation of fingerprints. Countless factors influence the formation of these patterns: your blood pressure, the oxygen level in your blood, your mother’s nutrition and hormone levels, the positions you occupied in the womb, the amniotic fluid that surrounded you, and more. The sheer number and complexity of the variables prevent two fingerprints from developing exactly alike. Not even identical twins — who share a placenta and much of their DNA — have the same ridge patterns. Your body can stretch and shrink, lose or gain weight, but, like moles and birthmarks, fingerprints don’t go away easily or naturally. The ridge patterns you had when you were born would be the same ridge patterns you carry in death. There are exceptions, of course. One cancer patient from Singapore lost all his fingerprints due to medical treatments. Other medical problems, such as severe rashes, also erase the patterns. But unless you come across serious skin issues, your fingerprints are there to stay. This has led some criminals to mutilate their fingers to avoid detection. The first of many was Theodore “Handsome Jack” Kurtis, who, in 1934, cut semi-circular scars on each fingerprint. Despite his trouble, though, police claimed he still had more than enough ridges to identify him. The next generation of criminals resorted to more drastic solutions, like burning off their fingertips with acid and fire. The imprints of the ridges, however, develop in deep skin layers. That’s why in most cases, the fingerprints eventually grow back. The persistence and individuality of fingerprints make them a strong identifying factor in a criminal investigation. They can be used to connect a person to the crime scene or, in contrast, eliminate him or her from a roster of suspects. Those who have earned a private investigator certificate know that this is easier said than done. Finding a print in the first place in itself can be a painstaking process. 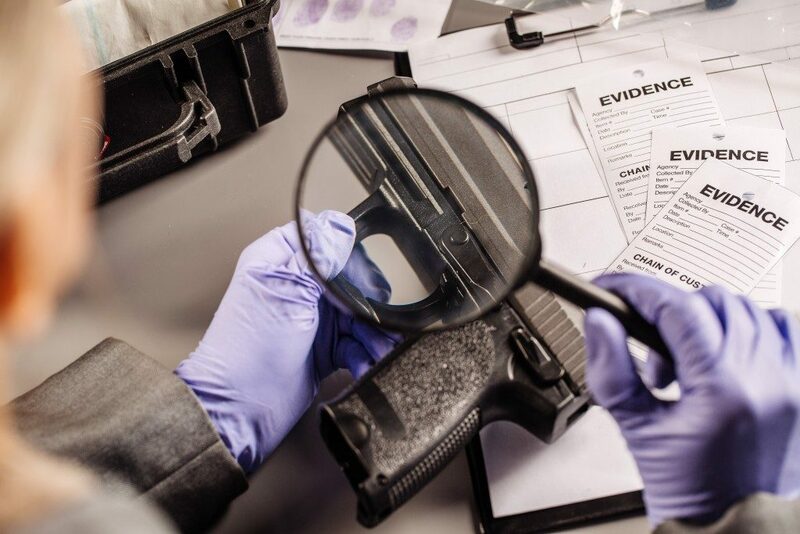 Crime scene experts have to dust for fingerprints on numerous surfaces, then photograph, lift them using special lifting tape, and document a meticulous description of the mark. It then goes through a rigorous process of analysis at the Integrated Automated Fingerprint Identification System (IAFIS). Once the experts match the prints with one from their database, a substantial case awaits the court. It can be difficult, after all, to disprove a case that’s built on such a robust piece of evidence. Thanks to its uniqueness and indelibility, fingerprints have helped courts mete out justice for over a hundred years.